 1/2 price BBQ pork ribs are back at T-Bones when you order before 6.30pm Tues-Thurs! A blend of Texan and Mexican restaurant, this unique and fun dining experience is perfect for a family feast. Mouth-watering rib eye fillet are marinated and slow roasted for 18 hours before being grilled to perfection to seal in the flavours. Or if Mexican is your preference, there is a menu packed with all your favourites – fajitas, burritos, chimichangas and more. Open Tuesday to Saturday from 5.30pm – 9.30pm. We baste the whole rib eye roll with special herbs, and blackened smoke marinades prior to 18 hours of slow roasting. Your steak will be hand cut from the whole roasted rib eye and grilled. Due to the slow cooking process this steak will come out "medium" unless requested to be cooked longer. Corn chips layered on lettuce with your choice of beef, chicken or chilli tomato & beans, topped with cheese, coriander, guacamole, jalapeño & sour cream dip. Chargrilled & served with charred lime, tomato & black bean salsa, with chips & salad.